a nice picture you like or a photo to insert inside the frame. 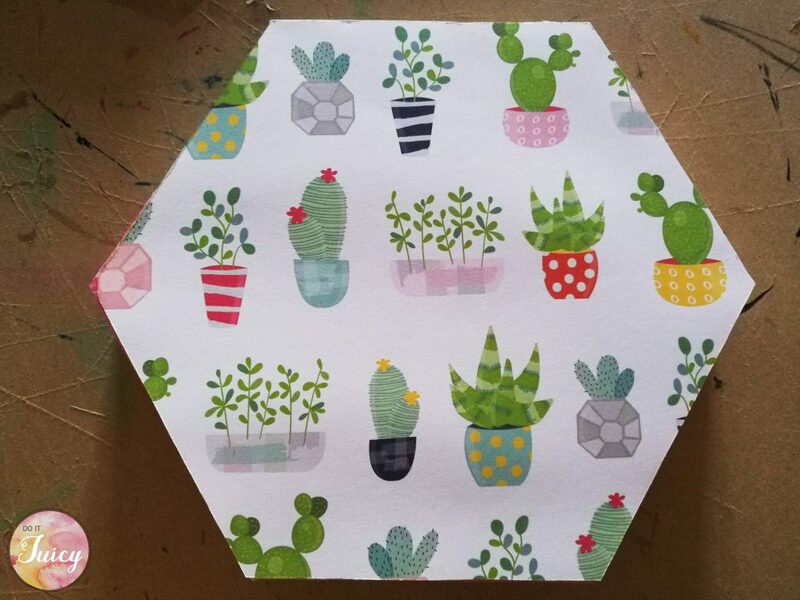 First make the support for the frame using a cardboard and cut it in the shape you like (hexagonal in my example). 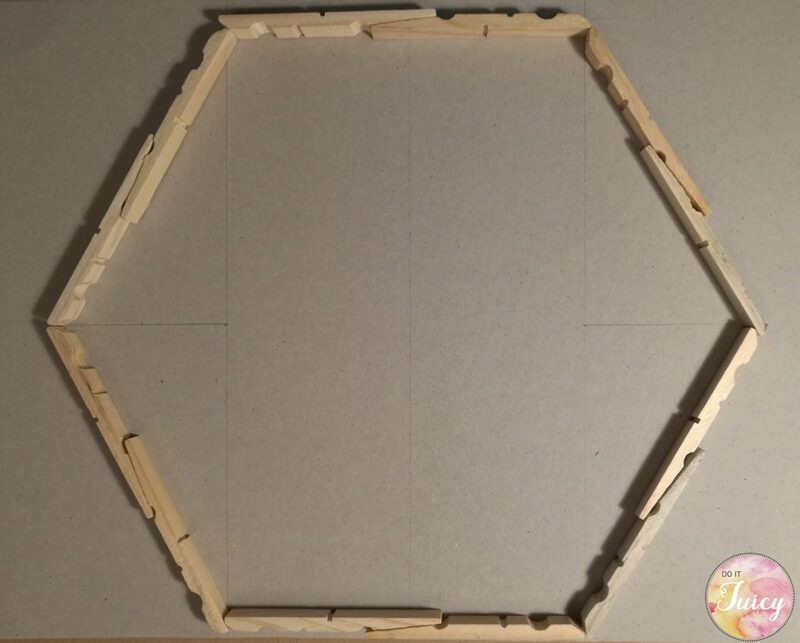 The dimension of one side of the hexagon depends on the clothespins you use, usually is about 10 cm. 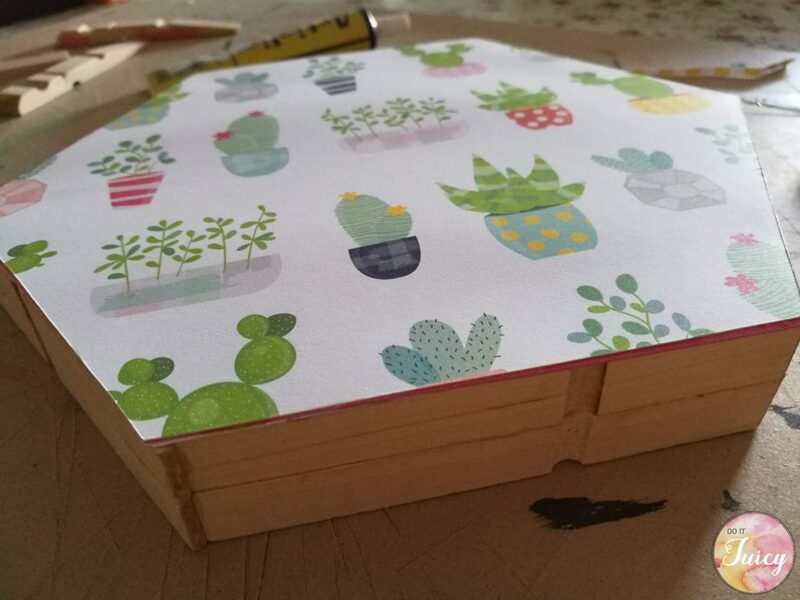 Than I choosed to place on the support as background a gorgeous paper with “happy” succulent house plants . The paper brand is Bella BLVD (www.bellablvd.net) i found it in a special store named Paperness (Via Luca Valerio, 51- Rome- Italy). Than separate each clothespins from the metallic support and start gluing them together as i show you following this link. 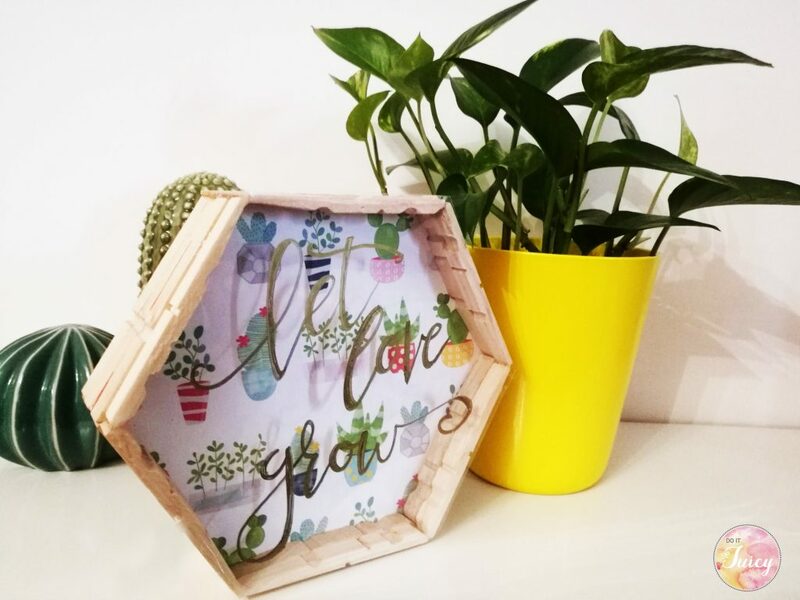 Finally I choosed to personalize the DIY frame with one calligraphy i made. 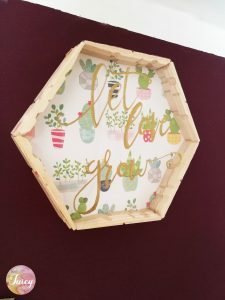 I used a permanet marker in a gold color on a transparent paper and i glued it on the frame. 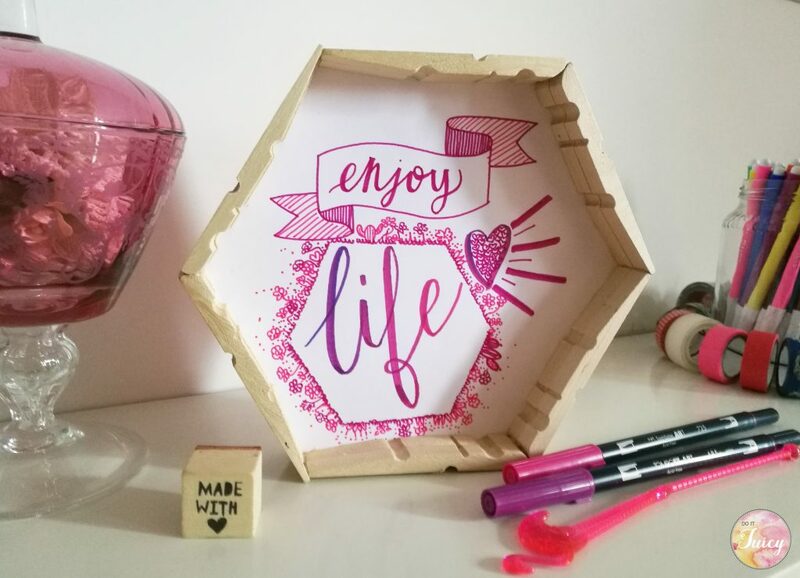 The DIY frame can be personalized as you prefer, with a photo of your summer holidays, a different paper or whatever you like. But, what about the frame dimensions? The size of the frame depends on the dimension of one single clothespins.